The town of Burin, Newfoundland is home to the Tidal Wave Museum, which commemorates the earthquake and tsunami that upended the place in 1929. The seism originated on the edge of the Grand Banks, and was felt as far away as New York and Montreal, yet Burin, population a handful, was the place to remember the loss and legend of the tidal wave that swept the peninsula hours afterwards. Ken Babstock is not the largest earthquake in Canadian history, but this boy from Burin has also shaken things up, made waves. 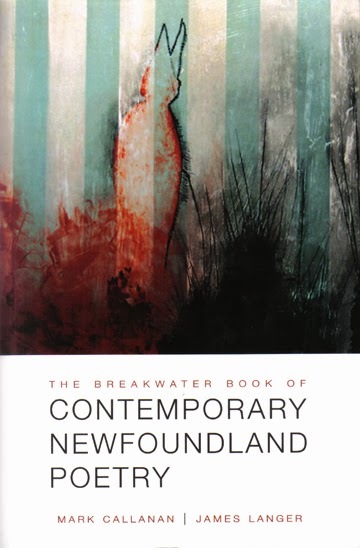 Pick your cliché; it’s easy to understand why Mark Callanan and James Langer wanted to include Babstock in their anthology of Newfoundland poets, waaay prodigal though he is, having grown up and lived in fairly the opposite of Newfoundland. 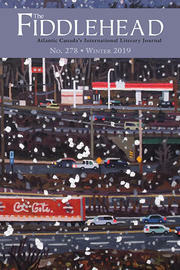 With the publication of the 1999 Mean, from which two of the poems in the Breakwater book are taken, Babstock stood at the cusp of a new Canadian poetics — post-nationalist but snapped in place; as easily confessional as prevaricating, and sometimes simultaneously; and demanding such acrobatics of language. Among his contemporaries, at that threshold, Babstock was fairly picking the lock. The material from Babstock’s 2006 Airstream Land Yacht cracks open both the man and the way his mind works. From the recounted family lore of “Pragmatist,” to the sun that makes “a cracking sound and resume[s] breathing” to the post-structuralistic bad trip of “The Minds of The Higher Animals,” Babstock manages at once to keep his readers at anchor and to push them off the plank. In the title inclusion from his most recent book, Methodist Hatchet, meanwhile, the poet jumps between apostrophe and absurdism, from concatenation to easy charm. Part elf, part eddy — “I still talk like I’m from nowhere, or Ontario,” he quips, but maybe there’s more Newfoundland left than we thought. The self is in there; it’s “secular self-grown peninsulaic,” and you better have got your ticket early.